*Thanks to Jim Welna for his contribution and cooperation in this article! Over this past winter, Jim and Sue Welna have been hard at work remodeling the their store, Welna II Hardware. 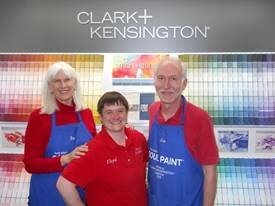 Their latest addition is a new Paint Studio! The build-out – including custom cabinetry made by our own Siewert Cabinet – expanded from just 4 feet of color chips to 20 feet! They have also added great Valspar paint including two zero VOC lines, and new equipment that allows mixing pint samples and matching major brands of colors. Thre are also some great deals on paint coming up for Spring. 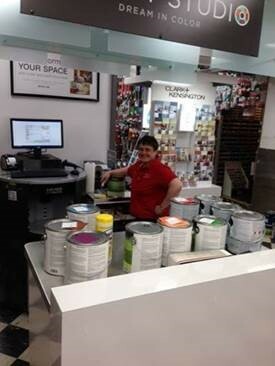 There is a buy one get one gallon of paint sale the weekend of May 17th and 18th. They will offer the free gallons to friends and family starting on May 14th. This is a great sale on paint if a person is considering any inside or outside paint projects this summer. If you haven’t decided on colors, Welna II can run the sale through on those days and give you a rain check to come back later to select colors. Their store will also be carrying live certified organic bedding plants from Gardens of Eagan this season. The Seward Co-op has carried their plants the last two years but Welna II agreed to carry them this year because of space limitations at the Seward Co-op. Come check out the new look at Welna II in the next few weeks. If you have any Spring and/or Summer painting projects to take care of, this is a great opportunity to take advantage of!